Not many people know that in 1867 a German Club was founded in Myanmar. It marked Germany’s first economic commitment in Myanmar in the 19th century and was forced to close with the outbreak of the First World War. But the club left its mark. This was how an Englishman described the social centre of the German economy in Burma prior to the First World War. The large plot of land was registered in 1867 in the name of Barckhausen, a businessman from Bremen who, like most of his colleagues, traded in rice. It was located in what was then known as Commissioner Road, today Bogyoke Aung San Street. Construction of the building was completed in 1890. 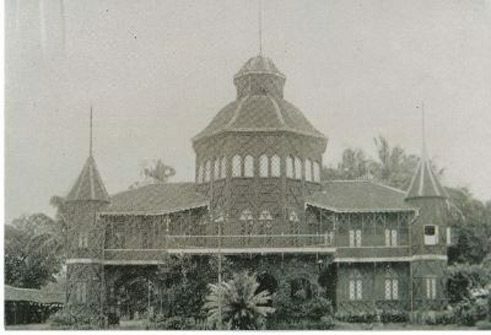 With this building the Germans showed their colours, making it clear that they felt no need to hide behind British businessmen who, as citizens of the colonial power, controlled the lion’s share of trade and commerce in Burma. After them, however, the Germans were well established in second place, and would remain there long after the outbreak of the First World War. 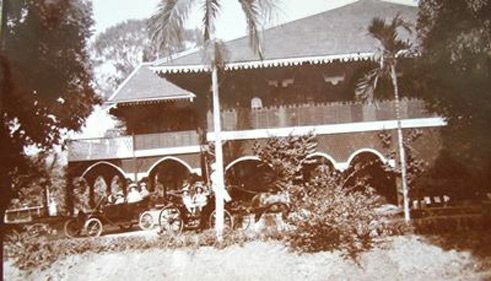 The time between the construction of the old and the new clubhouses marks the time of a great upsurge in trade relations with Burma. 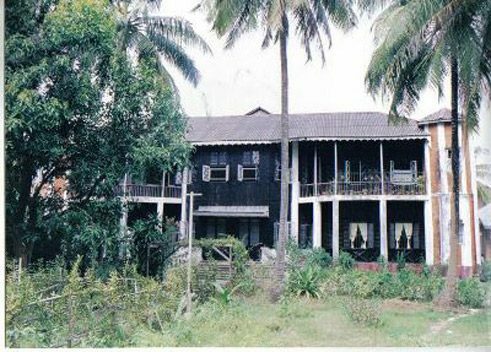 Shortly after the Second Anglo-Burmese War, with which the fertile Irrawaddy Delta came under the control of the British East India Company, a joint stock company, the first German Consulate was opened in Akyab, today's Sittwe. From here, rice was transported to Hamburg and Bremen, to then be shipped to other countries. The Germans were not big rice eaters, but people in South and Central America were. At that time, ships had to sail around the Cape of Good Hope; after the opening of the Suez Canal in 1869 the journey was shorter and more economical, and at the end of the 19th century steamships began to replace sailing ships. Shortly after the opening of the new club, the Bremen-based "German Steamship Company Hansa" launched a 14-day scheduled service to Asia, which included Rangoon as a port of call. Of course, the ships from Germany did not arrive empty. Salt, cotton goods such as blankets and hosiery as well as cutlery were imported. In addition, knitting machines, rice mills and other machinery, and naturally beer and milk were imported on a large scale. Consumer goods imported from Germany, especially clothing, were successful because of their low prices. By the beginning of the 20th century, clothing imported from Germany and Japan had largely displaced indigenous products. The German Club was supported by 50 members. However, nothing is known about their activities. 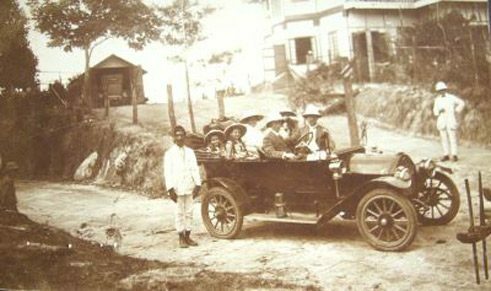 The consuls in Rangoon were volunteers and if they wrote reports, these have been lost. The imperial consuls resided in Calcutta, the centre of the British colonial empire in India, to which Burma also belonged until 1937. They spoke highly of the German merchants, who stood out from the snobbish English at least partially due to their industriousness, efficiency and modesty. In fact, the Germans were popular with the locals, probably because they were not a colonial power, at least not in Burma. In 1890, the year of the opening of the new clubhouse, a large exhibition of colonial products was held in Bremen, which included contributions from the merchants in Burma. The merchants sent more than just goods to the Hanseatic city. They also sent four Burmese and an elephant, to give visitors to the exhibition a lifelike impression of the conditions under which the goods were produced. Reports indicate that the elephant did not survive the journey. The club, too, did not have a long life. When World War II broke out, it was declared enemy property. 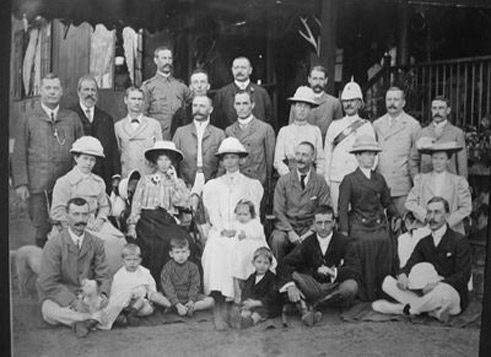 The German merchants and their families were taken to India and interned, 111 men and 22 women. Others who were born in Germany had had the foresight to renounce their German citizenship. The Club House today | © Hans Bernd Zöllner The club was sold to a Catholic order of nuns who are still based in the building today, and sank into oblivion. The Order maintains several facilities in Myanmar, mainly caring for children and the needy. The image of the "castle from the Rhine Valley", however, reminds us of the first great period of German economic involvement in Burma.